We are a family owned and operated auto body repair shop conveniently located in Baxter MN in the heart of the famous Brainerd Lakes Recreation area of north central Minnesota. Corrosion Protection – undercoating on the backside to prevent “inside – out” rusting. 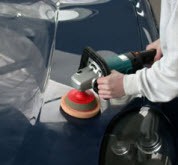 Paintless Dent Repair and Removal. Auto and Marine Decals, Lettering, and other Trim. 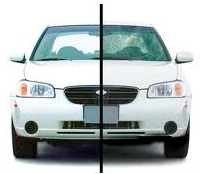 Master Collision Repair and Refinishing Technicians. Propeller Repair, Reconstruction, and New/Used Prop Sales. Trailer and Axle Repair, Painting, & Electrical Renovation. We stand behind our craftsmanship, and have been performing auto body repair and peerless painting services in the Brainerd Lakes area since 1974. We work with all major insurance companies and accept both VISA and Mastercard credit cards for your convenience. We also provide complete boat propeller and skeg repair, as well as trailer and icefish house repair services. Our boat prop business offers certified rebuilding and balancing of boat propellers as well as sales of used and new props. Call us today at 218-829-0141 or just stop by and let’s talk.